Honor the traditions of Nowruz—the Persian New Year—on March 24, marking the transition into spring as the days begin to get longer. Welcome the start of spring with a special edition of Friday Nights at OMCA celebrating Nowruz—the Persian New Year–with a festive Persian dance demonstration, a calligraphy demo, and a traditional paper egg decorating workshop–something for every generation in your family. Nowruz, which means “new day” in English, is a time of peace and solidarity between generations and neighborliness and friendship among people. 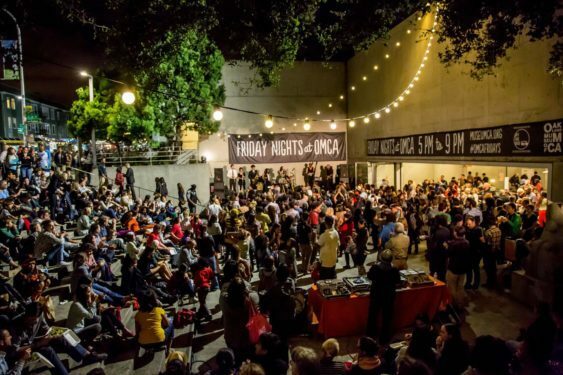 Friday Nights at OMCA is one of Oakland’s favorite things to do. Join in for the best of local food truck cuisine along with music, dance, and children’s art activities–plus, the entire museum stays open after hours just for you. View the full evening’s schedule.